Threat • Health officials issue a warning for the entire lake, say tests reveal toxin from bloom is widespread, but still at low levels. Chris Detrick | The Salt Lake Tribune A toxic algal bloom in Utah Lake Thursday, June 29, 2017. 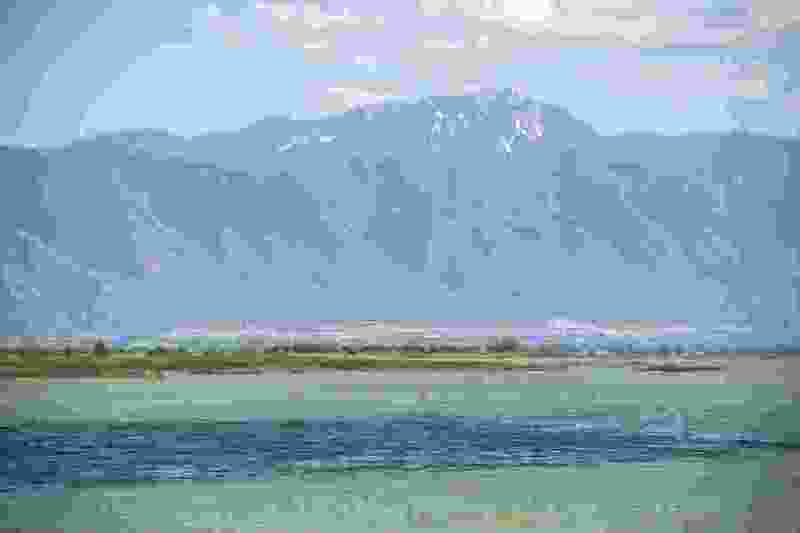 Officials say residents should avoid contact with the waters of Utah Lake in light of the detection of a deadly toxin. A bloom of toxic algae, detected late last month, has continued to grow and now appears to cover the majority of the lake west of Provo, according to state officials. And all of the latest samples from the lake tested positive for low levels of anatoxin, a neuro toxin that can be fatal if ingested. 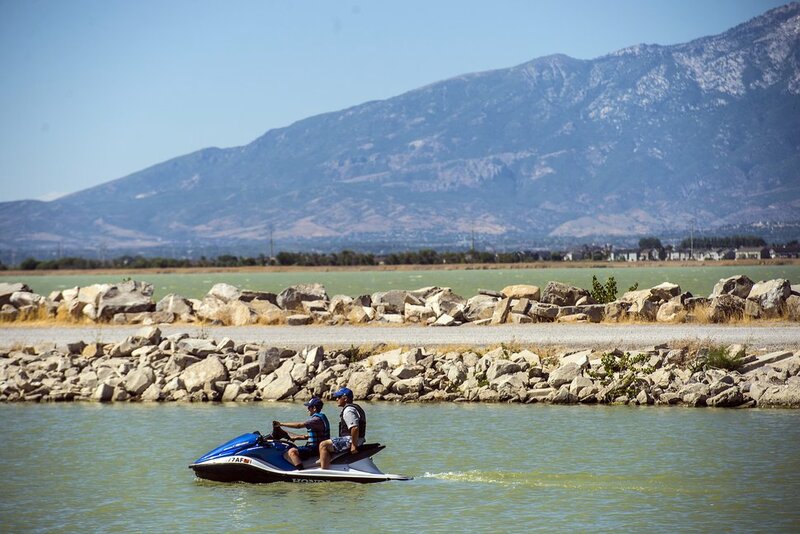 Though toxin levels have not yet reached concentrations thought to be fatal, Utah County Health Department executive director Ralph Clegg said Wednesday, officials chose to issue a warning for the entire lake, given the toxin was present in all of the most recent samples. The bloom also tested positive for microcystin, another toxin associated with headaches and gastrointestinal distress, but Clegg said they have not closed the lake, as they did last summer, because cell counts and toxin levels remains low. Because the bloom and toxins seem to be moving around the lake with the wind, Clegg said, "the best thing is probably to stay off the water at this point." Ben Holcomb, harmful algal bloom program coordinator for the Utah Department of Environmental Quality, said the toxins associated with cyanobacteria, also known as toxic algae or blue-green algae, can be difficult to detect in water samples. Anatoxin in particular is not stable in the environment and tends to dissipate rapidly, he said. So the actual amount of toxin in the water could vary widely depending on time and location. "We may have just been lucky yesterday," he said. "The timing was maybe really lucky that we were able to detect [anatoxin] at all sites"
The state has sent its samples to an independent lab for verification of the results, but Holcomb said it's unlikely to be a false positive. Holcomb said boating on the lake was still probably safe, but he urged residents to avoid swimming, water skiing, tubing, or other activities involving direct contact with the water. Erin Jones, a graduate student at Brigham Young University who is helping the state collect samples on Utah Lake, said the key is to avoid ingesting any of the contaminated water — which, she said, should be common sense. "I don't want people to panic and think the whole lake is toxic," Jones said. "Even without the harmful algal bloom, you shouldn't drink surface water from the lake. You can get harmful bacteria in any water body. This may be a different kind of risk, but safe practices should be the same regardless. Purify water before drinking it from a stream or lake." 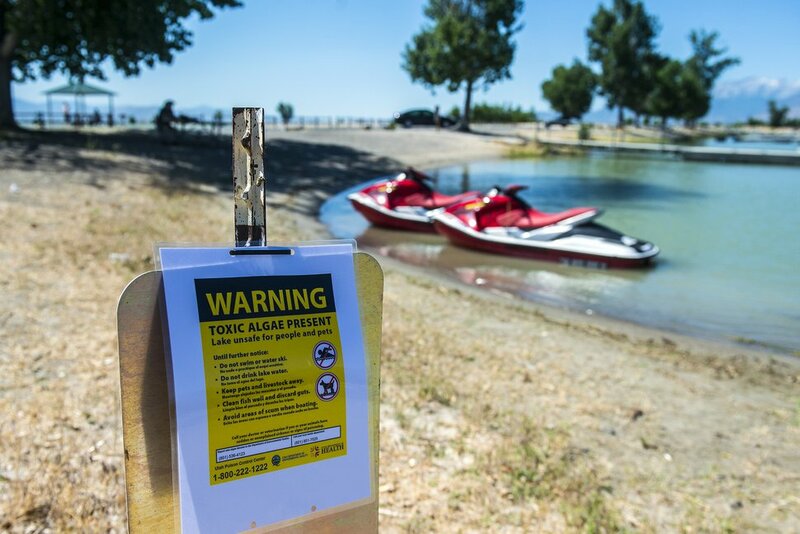 Jones added that those recreating on the lake should also always wear life jackets, as drowning remains a greater risk than poisoning by toxic algae. 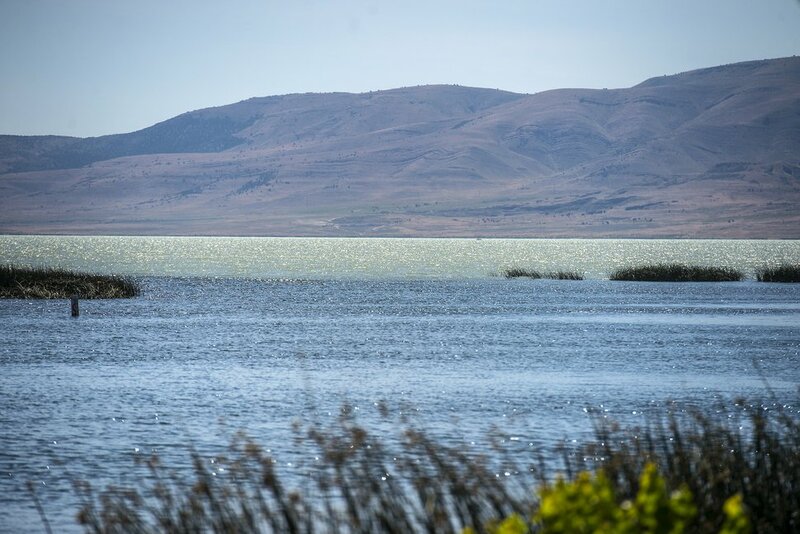 Holcomb said aerial imagery of the lake has been hampered by clouds for the last few days, making it difficult to ascertain how much of the lake is covered by the bloom, or where the bloom is the most concentrated. Samples with the highest numbers of cyanobacteria were collected on the northern portion of the lake, away from the shore, southwest of Lindon Harbor and just outside the Provo Airport. The bloom, Holcomb said, may have originated as one or more separate blooms, but at this point, those appear to have merged and mixed. Jones said her on-the-ground observations while collecting samples suggest the bloom is not likely to dissipate this week, in spite of windy, cloudy weather that is not typically conducive to persistent algal blooms. "We went and collected samples today," she said, "and there's quite a bit of cyanobacteria in there. Our technicians are using gloves and stuff when they're collecting samples." Chris Detrick | The Salt Lake Tribune A posted sign warning about a toxic algal bloom in Utah Lake Thursday, June 29, 2017. Chris Detrick | The Salt Lake Tribune Jet skiers on Utah Lake Thursday, June 29, 2017.